Badmintion Double Champ has more than 27 Medals in her Kitty still going strong. 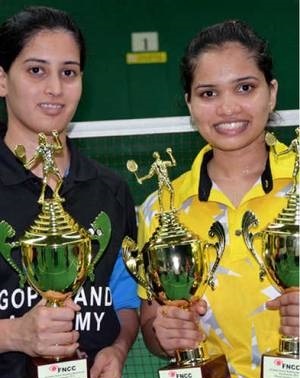 With Excellent Skills and Numerous Wins Sikki Reddy proves she is indeed the National Badminton Doubles Champ. Won Gold - Mixed Team Event GC2018 Games. Won Bronze - Women's Doubles Event GC2018 Games. When Nelakurihi Sikki Reddy set out to make it big this year at the Commonwealth Games held at Gold Coast, little did anyone doubt her abilities. 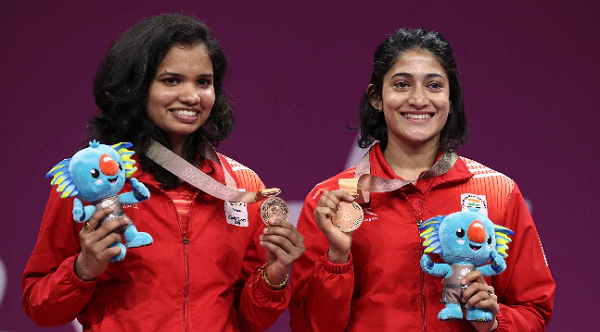 Safe to say, she delivered a stellar performance and did indeed win our country a medal in the women’s doubles event partnered alongside another badminton legend – Ashwini Ponnappa. In the beginning there was a curious Sikki who sought refuge in her chance summer camp in Hyderabad at the age of eight. It was a badminton camp and surprisingly enough Sikki showed a great deal of budding talent in the game. She won the camp tournament along with the hearts of the instructors who noticed her inborn efficiency and god-gifted racket swinging skills. From among 200 kids, she shone through bright and the coaches took the effort to polish her game and bring forth to the table her natural and inherent badminton skills. In 2003, the now 24-year-old began her training, this time with a serious cause in mind – to represent the country and win medals accordingly. Sikki had a dream and nothing could stop her. Unfortunate injuries forced Sikki to shift from singles to doubles. But this never disheartened her, although she always wanted to be the master of her own game. Since 2013, Sikki has remained to be the national champion in the women’s doubles event. Along with her recent win at the CWG 2018, she also has gold to her name which she swept up in the South Asian Games 2016 held at Shillong. Along with this, she also achieved a great feat by winning the Brazil and Russia Open Grand Prix Titles. Sikki has been a part of numerous national and international tournaments including Super Series, Grand Prix Gold, and Grand Prix events organized by the Badminton World Federation in different parts of the world. 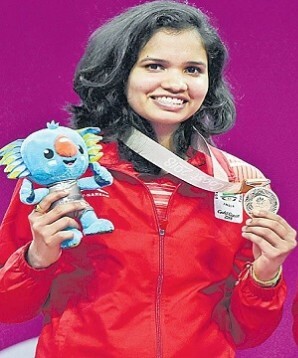 Now, Sikki has 27 medals to her name – 15 golds, 5 silvers, and 7 bronzes. For most of her part in the game, Sikki has trained till the last inch of her skin was soaked in sweat. “It takes a lot of sacrifices to achieve something in life,” says Sikki. Sikki has spent hours, days, months, training extensively. She has sacrificed a lot of Sundays and a lot of family time for her career. She has also travelled a 100 km to get to her training academy. The road has been tough, but Sikki has been tougher. She never gave in and always did her best. Although she misses her family and her free time, she deems the hectic routine a necessity. Nothing in life ever comes easy and she is ever so willing to put in her 100%. Sikki believes the concept of equality should begin at home. For her career path, when she took the road less travelled, the one that led to a badminton court, her family’s support gave her the boost and confidence she needed to go ahead and pursue her dreams. Sikki has worked hard to achieve what she has today and safe to say, she deserves every bit of it!